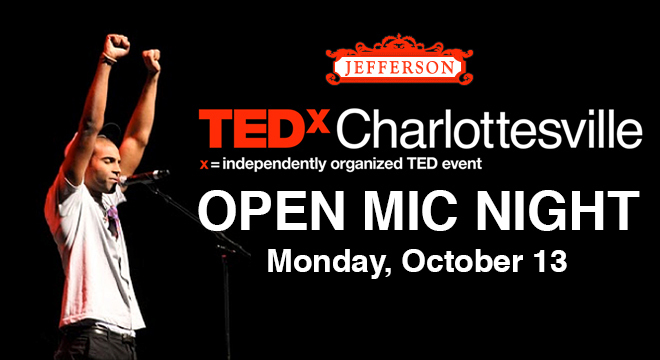 Come out to support TEDxCharlottesville Open Mic Night. It promises to be a fun evening, a first hand experience featuring the group of locals vying for a chance to speak at TEDxCville 2014 in November. The entry deadline has passed so if you have a TED Talk inside of you that you have been aching to share, get ready for next year. As for this year, attend Open Mic Night and cast your vote for who you would like to present on the big stage in November. Learn more here.